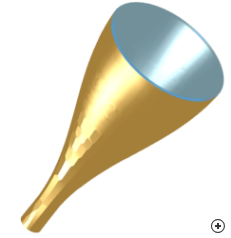 Image of the Profiled smooth conical horn with dielectric loading. 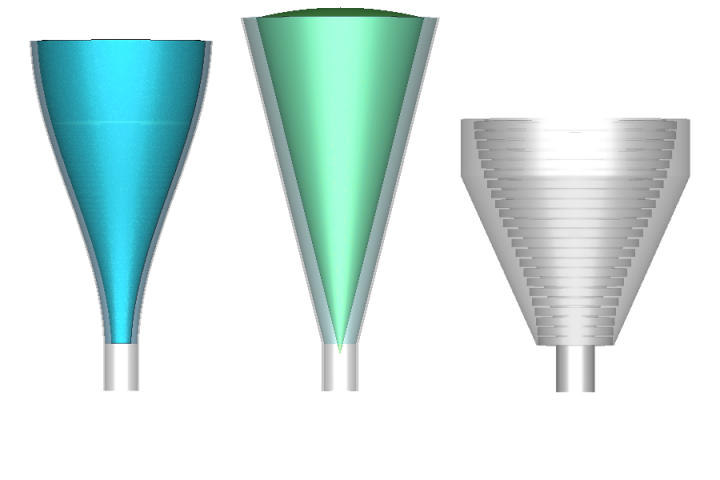 The profiled dielectrically-loaded conical horn antenna uses two dielectric core materials to achieve low cross-polarisation and low sidelobes over a wide frequency range. 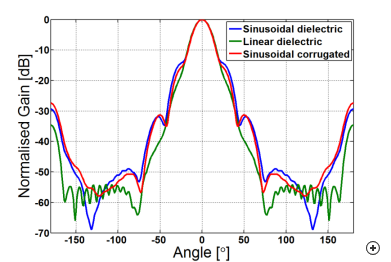 Compared to corrugated horns, the dielectrically loaded horn has a simpler design and is easier to analyse; however, its drawbacks include the effects of dielectric losses. Overall, the structure is a suitable alternative to corrugated horn antennas. 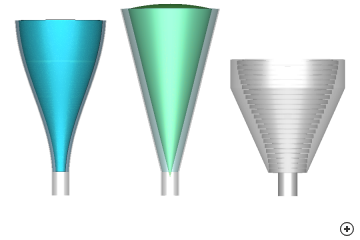 Profiling the flare may further improve the performance of the standard linear hybrid horn, already available in Antenna Magus. While this may result in a more compact structure at higher gains for certain profiles, it may also achieve worse performance than its linear counterpart for others. 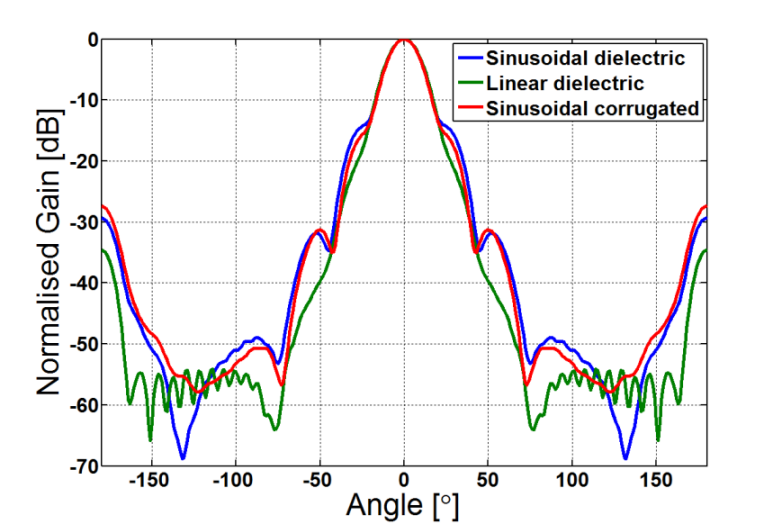 Available profiles for this antenna also include sinusoidal, tangential, exponential, hyperbolic and polynomial. 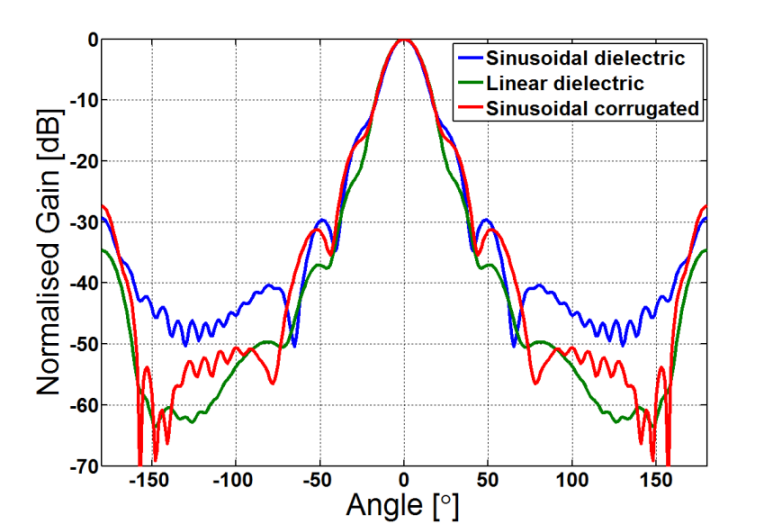 A comparison of versions of the profiled dielectrically loaded vs linear dielectrically loaded vs profiled corrugated is shown. 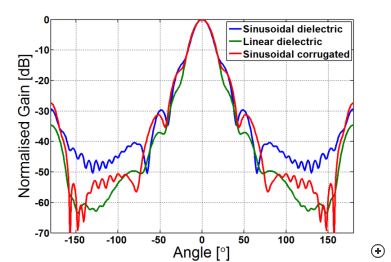 The introduction of the correct profile results in a more compact dielectrically-loaded structure, albeit at the expense of increased side lobes. Although potentially more difficult to machine, the corrugated horn equivalent still wins in terms of size.